The kingdom lies undefended. Cadwallon and Penda, the kings of Gwynedd and Mercia, ravage Northumbria. Oswald has a rightful claim to the throne, but he is sick of bloodshed; in his heart, he longs to lay down his sword and join the monks of Iona. However, the abbot of Iona does not need another monk; the abbot wants a warrior king to spread the new faith. 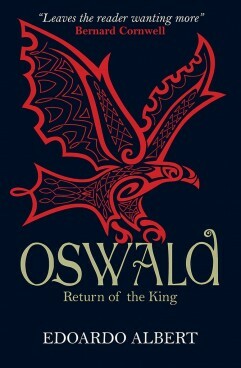 He must reignite Oswald’s hunger for glory and renown, for gold and power and the homage of men. If he does, will it destroy Oswald? “A spirited and enjoyable canter through Conversion-Age Northumbria, which breathes life into the dry bones offered by the Venerable Bede regarding the hero-figure of King Oswald, stays in touch with modern histories of the period and offers a homage to Tolkien’s love of this same landscape and period.” Nicholas Higham, author of The Anglo-Saxon World and Professor in Early Medieval History at the University of Manchester. Justin Hill, author of Shieldwall.